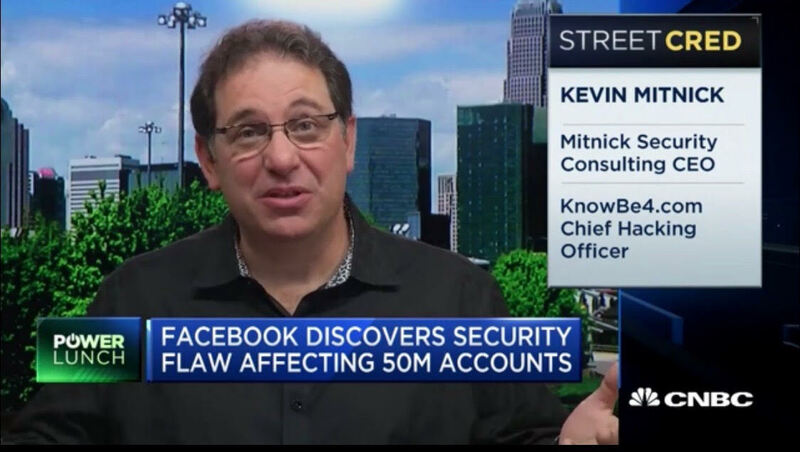 It was all over the news, and CNBC interviewed KnowBe4's very own Chief Hacking Officer Kevin Mitnick (note the StreetCred box on the right). "Former hacker weighs in on Facebook's big security breach. Kevin Mitnick, computer security consultant and hacker, discussed recent reports that Facebook experienced a security breach that impacted about 50 million profiles. This is the link to the interview: https://www.cnbc.com/video/2018/09/28/facebook-security-breach-hacker.html? It is too early to tell if the stolen information has specific data fields that can be used for highly personalized social engineering attacks, but you can count on the bad guys using this for credential harvesting attacks, with phishing emails arriving in the millions, claiming that you need to change your Facebook password. Bad guys are attacking mobile platforms now more than ever. To start your National Cyber Security Awareness Month (NCSAM) here is a goodie for your users to kick things off. Very similar to our unique job-aid: Social Engineering Red Flags™ with 22 things to watch out for in email, we created an InfoGraphic (PDF) about Mobile threats that you can send to all of them, or even print it, laminate it, and pin it on their wall. There is a lot more material to come, so stay tuned for ready-made NSCAM kits. 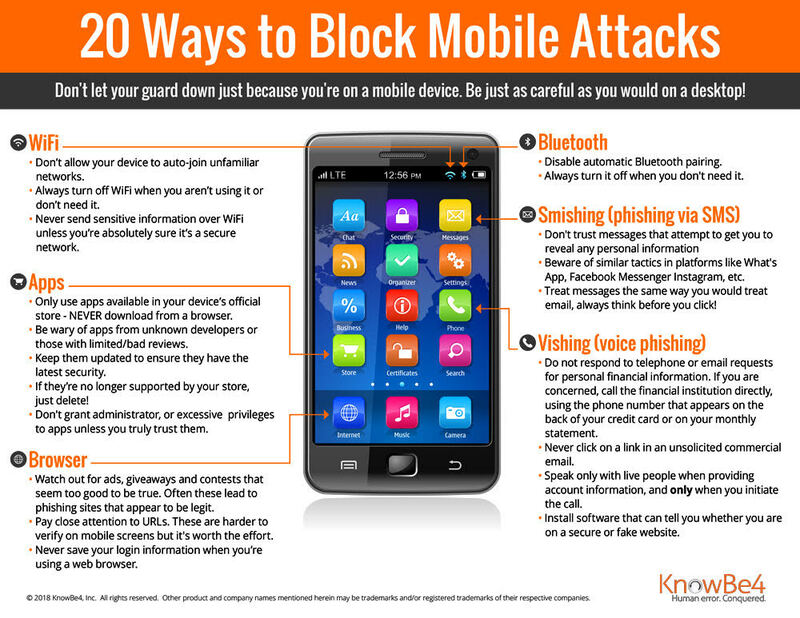 The InfoGraphic theme is: "Don't let your guard down just because you're on a mobile device. Be just as careful as you would on a desktop!"